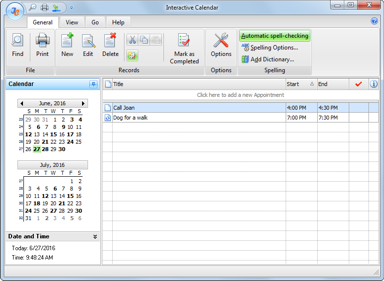 Interactive Calendar supports various interface types and colors. 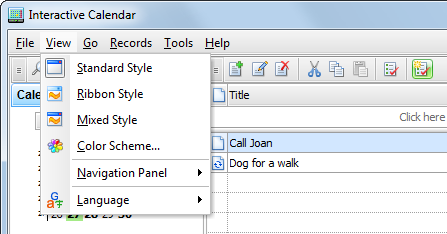 To change interface type, please use the "View" program main menu item. Here you can choose one of three styles: Standard Style, Ribbon Style or Mixed Style. To change the color scheme, please use the "View - Color Scheme" program's main menu item. 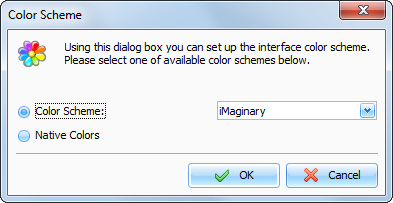 In the opened window you can choose one of 45 color schemes or select "Native Colors". 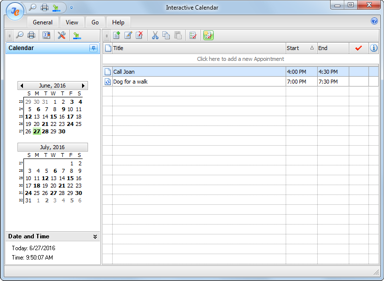 In the "Native Colors" mode Interactive Calendar will use default system settings for the colors and controls painting. 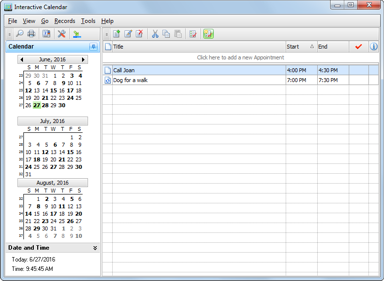 This mode is not available for the "Ribbon" and "Mixed" interface types.